Photos have always been at the center of the Google+ experience and at I/O today, Google announce a major update to Google+ Photos that now makes use of the many of the tools the company acquired when it bought Nik Software last September. The focus of this update is squarely on automating a lot of the photo editing and sharing process. Google+ can now, for example, automatically enhance the tonal distribution in an image, soften skin, sharpen certain parts of an image and remove noise – and all of those computations happen in the cloud. As Google’s Vic Gundotra told us before the event (and reiterated today), “you don’t take a photograph, you make it.” Users spend thousand of dollars to make photos great, he noted, but photography is still labor intensive and organizing photos is often still a hassle. “It takes time, and most of don’t have the time,” Gundotra said. 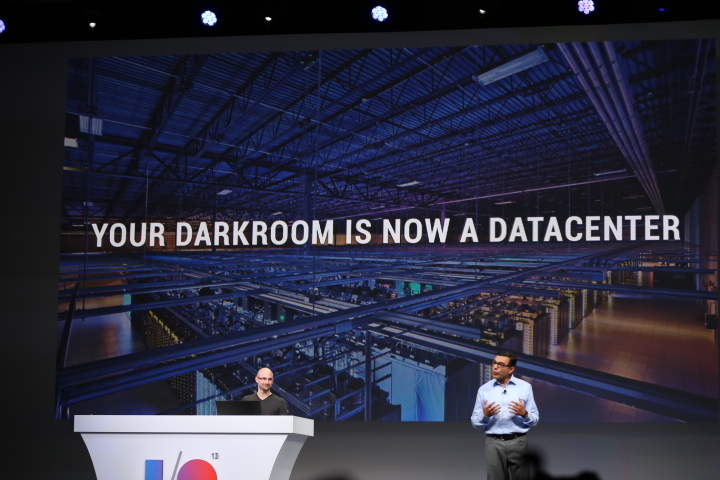 But what if Google’s data centers could be your darkroom? So what if Google could automatically fix your image sand pick the best ones and highlight them automatically? That’s another new feature the company is launching today. The system can now analyze your images and kick out blurry photos, duplicates, images with bad exposure (which it will try to fix). It can also recognize good images with certain landmarks, for example, and detect faces and see if people are smiling and/or of those people are in your Google+ circles. It will also try to make some decision based on aesthetics. What used to take hours of work, Gundotra said, now happens automatically in the cloud and take seconds. Using all of this, the system can make greenery pop, soften skin tones, clean up the color of the water and apply local enhancement to contrast and other features automatically. It can also automatically remove red eyes. Users can, of course, apply all of these enhancements separately as well. The original images, of course, always remain untouched and users can easily toggle back and forth between the enhanced version and the original. Now that Google offers everybody 15GB of free storage, users an also upload 15GB worth of full-size images to Google+ Photos. In addition, the autobackup feature provides unlimited storage space for photos at sized under 2048px. In today’s age of animated GIFs, the Google+ team also decided to get in on the game – but with a twist. The system – which is apparently called “Awesome” – can automatically detect when an image is part of a series and stitch it together in one image or an animated GIF. “If we detect that you took a series of photos, in burst mode or otherwise, we can stitch them together,” Gundotra told us. To recognize these images, the system does a bit of analysis to make sure the background hasn’t moved. This is about more than animated GIFs, though. This new feature – which Google calls “auto awesome” – can also automatically create a group photo from a series of photos and pick the one where everybody is smiling. 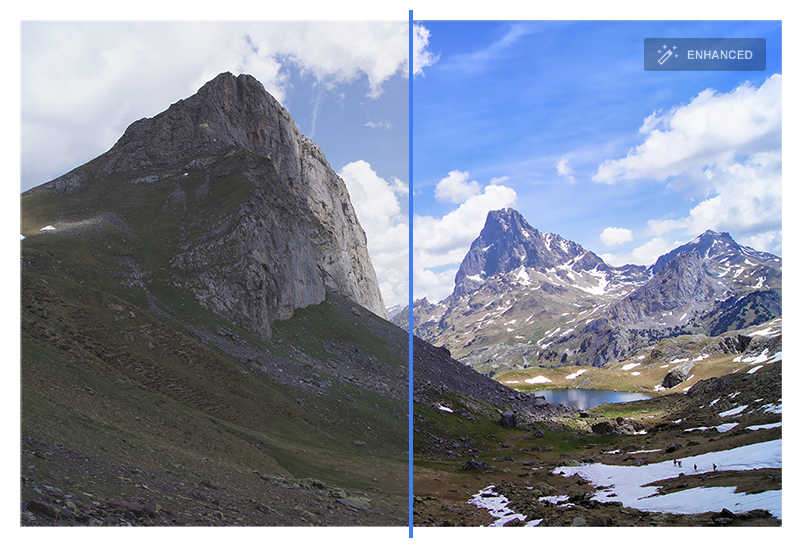 It can stitch together landscape photos to create panoramas and create HDR images from a series of photos where it detects bracketed exposures. All of this happens extremely fast, too, thanks to the power of Google’s data centers. All of these features are going live today and Google has already gone back and created “awesome” images for all of your existing photos in Google+.